[London, England] – A late start did not stop a Haringey schoolboy who dreams of being a top dancer from winning a place at a leading ballet school. Former Alexandra Park School student Jasper Arran, 17, was one of only 39 pupils accepted to study at the Central School of Ballet in London when it held auditions for more than 400 applicants in London, Glasgow, Leeds, Italy, and Japan. Jasper has been dancing since he was 13, while the school’s director Sara Matthews said most successful students have been dancing since primary school. During his final year, Jasper will join the school’s touring company, Ballet Central, which aims to give CSB students first-hand experience of professional dance. Graduates from CSB go on to join the top dance companies all over the world, including the English National Ballet, Scottish Ballet, National Ballet of Estonia, Slovakia Ballet and Singapore Dance Theatre. A Beckenham [England] schoolboy has won a place at one of Europe’s premier schools for dance. Seventeen-year-old James Parratt has been accepted onto the exclusive degree course at Central School of Ballet. More than 400 aspiring dancers applied this year – with auditions in London, Glasgow, Leeds, Italy and Japan – but James was one of only 39 to be offered the chance for professional training. A former Harris Academy, James picked up 10 GCSEs and studied dance at the Penny Taylor School of Dancing in Lewisham. [Londonderry, Northern Ireland] – A 19-YEAR-OLD ballet dancer from Moneymore has picked up the National Youth Theatre bronze statuette which is presented annually for outstanding work within the company. 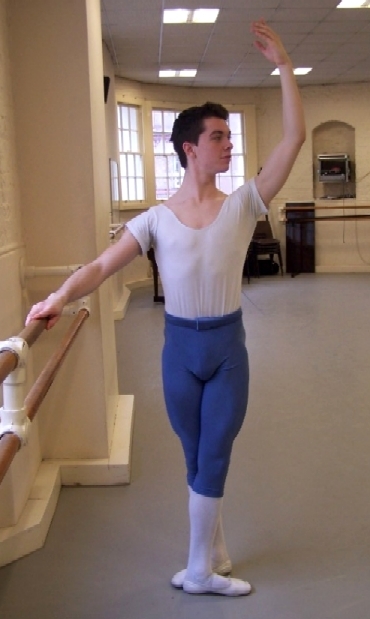 Ruaidhri Maguire, a former pupil of Methodist College, Belfast, and presently studying at the Central School of Ballet, received the accolade last Saturday (August 31). Ruaidhri took time out from his busy schedule to talk to the MAIL last week before he started back for his new term on Monday (September 9). The young dancer has just completed his first year at CSB, one of only 39 pupils accepted for a place on this three year degree course, a BA (Hons) in Professional Dance and Performance (validated by the University of Kent). The teenager began dancing at the age of nine and was a participant in the popular annual Ballet Workshops which are held at the Burnavon every August. “I absolutely love the Central School of Ballet. It’s what I’ve always wanted to do. It’s a career choice for me, but it’s very expensive having to buy things like shoes. And living in London is expeneive too – apart from the student loan and the student maintendance I don’t have any other support,” he said. Going into second year, Ruaidhri is looking forward to a busy term. And at the end of his training he hopes to secure a contract which will enable him to perform with a chosen company. 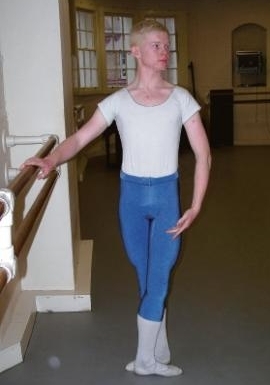 Although he enjoys life at the ballet school, students are expected to work hard. “It’s a long day,” he said. “We start at 8:45pm and finish at 6pm. As a boy I don’t really have to worry too much about my diet, but I do make sure I eat a lot of protein,” he said. For now, Ruaidhri is on his toes for another unforgettable term. © 2013 Johnston Publishing Ltd. Talented Connor is delighted to win coveted place on dance degree course. [South Yorkshire, England] – A Real-life Billy Elliott is making big steps in the world of ballet by following his dancing dream. 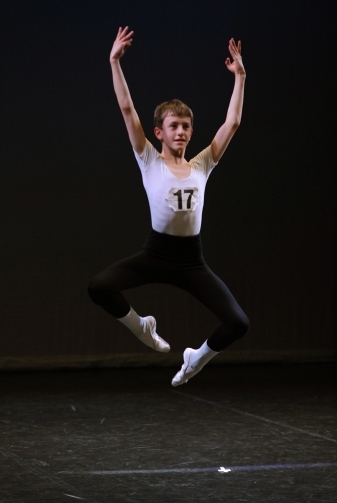 Talented Connor Taylor is tipped for the top after winning a place at London’s Central School of Ballet. And the Denaby Main teenager’s tale bears striking resemblances to the hit film about a youngster from a northern mining village who makes it big in the world of ballet. Former Wath St Pius School pupil Connor, aged 17, was one of just 39 pupils – out of 350 who auditioned – to win a coveted place on the school’s unique degree course in Professional Dance and Performance. Connor, of Alvaston Walk, was put through his paces in rigorous auditions, that take place over five months in London, Glasgow, Leeds, Italy and Japan. He has danced since the age of 10 and built on his ability at the Northern Ballet Academy in Leeds. He said: “I’ve completed the first term and it’s hard work but fun. We train at least six hours a day during the week and take classes on Saturday mornings. You have to be dedicated to make it to the top, but it’s my ultimate dream to be at one of the leading ballet companies and to play the prince in Swan Lake. Connor said his family initially balked at the idea of him becoming a ballet dancer, but he now has their full support – his dad John was an accomplished tap dancer in his youth, but none of his four siblings have taken up ballet. For his third year of study, Connor will join the school’s touring company Ballet Central. Recent CSB students are currently dancing with the most prestigious ballet companies, both in the UK and internationally. In the hit 2000 film, youngster Billy, who hails from the north east, defies his tough working-class mining family to become a ballet dancer, landing a place at the Royal Ballet School and eventually starring in Swan Lake. DANCER Reece Causton is tripping the light fantastic after winning a place at a prestigious London dance school. Reece, from Denver, has been accepted for professional dance training at one of Europe’s leading dance schools, Central School of Ballet (CSB), being chosen for his place from among 400 applications. Nineteen-year-old Reece gained his early enthusiasm for dance by attending the Footlights Dance Centre in Lynn. He formerly studied at Springwood High School. Reece, who has been dancing since he was 12, will now train for three years aiming for a BA (Hons) in Professional Dance and Performance. CBS is the only dance school in the UK to offer this unique qualification which focuses on ballet and classical ballet supported by contemporary dance, as well as choreography, Spanish dance, pilates, jazz dance, drama, dalcroze eurythmics, singing and contextual studies. 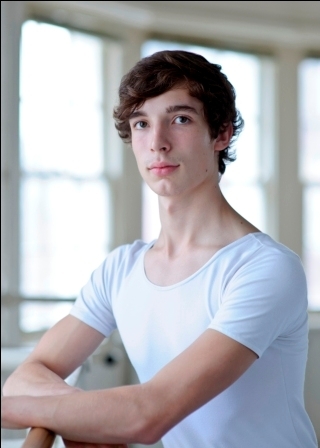 During his final year Reece will join the school’s touring company Ballet Central, formed from final year students. Ballet Central celebrated its 25th anniversary this year with a nationwide tour that covered 25 venues across the UK including the Lowry in Salford Quays and the Linbury Studio Theatre at the Royal Opera House. Graduates from CSB go on to join the world’s premier dance companies. Recent CSB students are currently employed The Royal Ballet, Matthew Bourne’s New Adventures Company, English National Ballet and the Scottish Ballet. A dancer is toasting success after winning a place at a prestigious dance school. Tom Broderick, 17, is starting a three-year degree in Professional Dance and Performance at the Central School of Ballet, in London. After scoring five A*s, five As and one C in his GCSEs at St Thomas More High School, Westcliff, Tom auditioned and won a place at the school, beating 400 fellow applicants. Now his days are filled with dance as he works towards his degree, which will see him join the school’s own touring company during his final year. Tom said: “We start in the studio at 8.15am and do a half-hour warm up before two hours of ballet. Then we do lessons in different areas of ballet with the girls. We also do contemporary dance two or three days a week, as well as doing pilates, which helps keep us very flexible and strong. Although Tom now spends term-time living in London, his home with mum Tina, dad Paul, sister Kate, 20, and little brother Joe, four, is still where the heart is. He said: “It was a big leap to come away from home, but more for my family than it was for me. Once he completes his studies, Tom hopes to go on to join a professional dance troupe. Diane Parkes talks to a budding young ballet dancer who is aiming for the top. Every week little Thomas Edwards would peer through the glass and watch his two sisters in their ballet lessons. So when the teacher suggested he join the class, he thought he may as well give it a go. 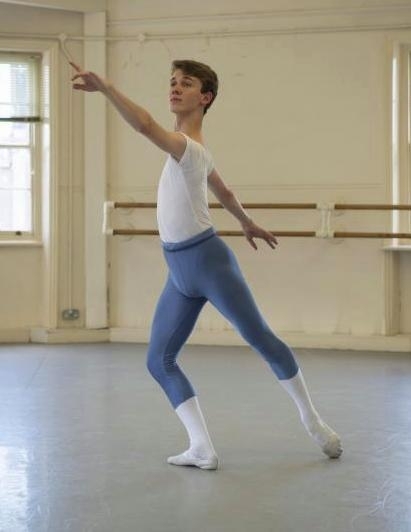 At the time Thomas was just under three years old but that decision went on to change his life as the Worcester teenager is now a full time student at one of the UK’s most prestigious ballet schools and is aiming for the top. So much of his youngest years were spent dancing that Thomas now has folders and folders of certificates and photographs of him appearing in countless guises. Thomas became a junior associate with the Royal Ballet, attending classes at Birmingham, and then became a mid associate. By the time he had progressed to senior associate he was travelling down to Covent Garden in London every Saturday for classes. In his younger years Thomas was twice offered places by dance schools but the family could not afford the fees. Dad Ken, aged 52, is a hospital ambulance liaison officer at Worcester Royal Hospital and mum Jane, aged 51, is a nurse practitioner. But both were determined to support their son as much as they could. And when he was offered a place at Central School of Ballet in London they knew it was an opportunity of a lifetime. With annual fees of more than £3,000 to meet the family have received some financial help but are having to dig deep to support their son. But they know the money is well spent as he is following his dreams. Last autumn he began classes at Central – and finally had the chance to learn alongside other boys.“There are about 25 girls and 11 boys in our year,” he says. “It is really good as you can learn from the others and talk about what you are learning. “At the beginning of the year we did two weeks of drama, music and dance which was a really good ice breaker. I knew a few of the others from auditions but most of us didn’t really know each other well. Thomas will study at Central for three years and will aim to leave with A-levels in dance and English as well as BA Hons Degree in Professional Dance.